A year ago, when we talked about launching a garbage sorting system in our office, others smiled indulgently and asked why we needed it. There are plenty of other problems in life, why waste your valuable time on this? I shall not lie, this reaction of the society led us to doubt, we thought of quitting this ungrateful business. However, we were too far gone to stop now – it was a part of the way of life in our company. Today we see that there are more and more people in the country who started think same as we do and govern their actions with care and love of the native land. They want to leave earth clean and habitable for their children. We are pleased to share personal stories of success of these enthusiasts. They tell us about the difficulties encountered, and about the benefits of our common cause. I want to believe that their example will inspire many others. 31 years old. He is married and brings up a little princess. 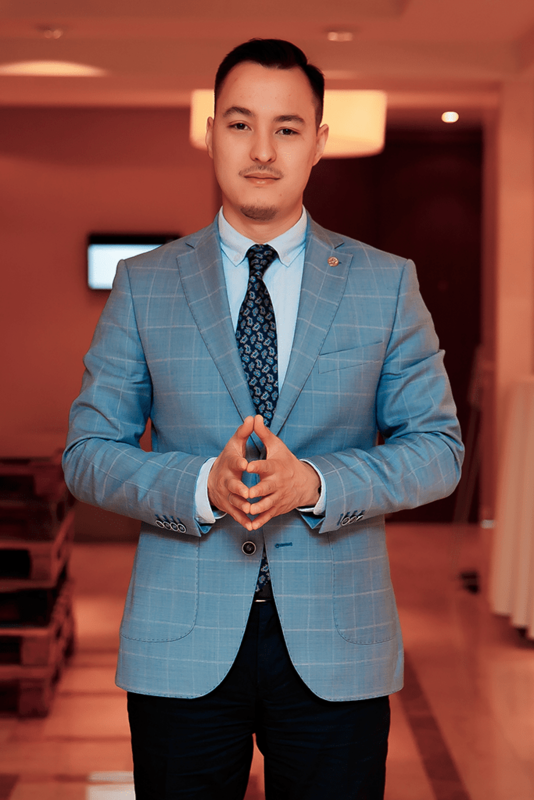 At the same time successfully manages to solve marketing tasks in ForteBank in Astana. The first time, I ever thought about sorting garbage was probably around 4 months ago. I do not remember exactly what prompted me to do this, perhaps some form of the unreleased stress (laughs). Then my friends and I started discussing one social project on Facebook, and the topic appeared itself. What we were thinking back then is: I live here, here is my house, my family, my work, and all that I give in return are garbage mountains. It seems to me that our activities should not leave a harmful trace, because most of what we consume does not replenish itself. After reading some expert opinions in this field, I realised that the point of no return has already passed, and for humanity, it’s a one-way ticket. For now. We need start gradually solving these problems, we must at least deal with a small portion of our activities. I woke up on Saturday and decided not to postpone the entire idea with the sorting of waste, I needed to act. After breakfast, while my girls were relaxing at the shopping mall, I went to the store to buy bins for separate waste collection for the home. And you know what? 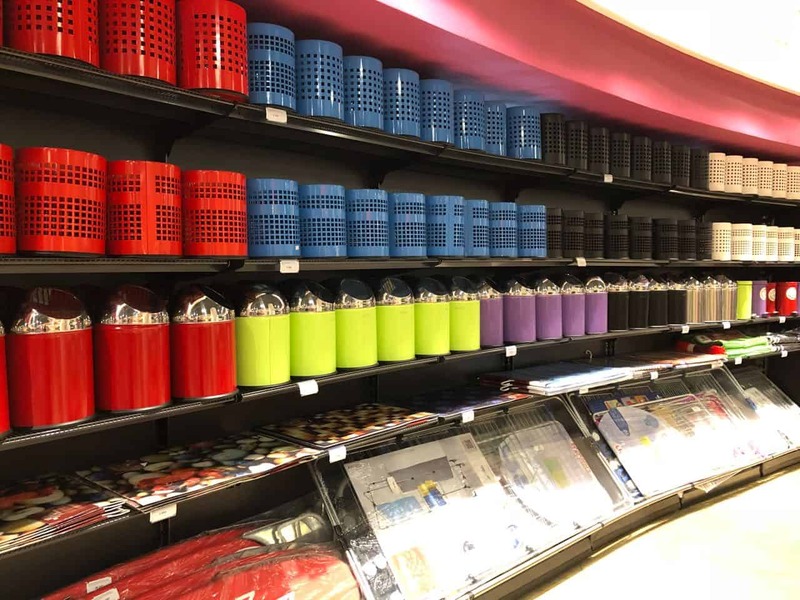 It turned out that there are no such bins in our stores. What we can buy in the North American countries in a shop near at home, we simply do not have the access. After spending the whole weekend to search for correct size and functionality bins, I decided that it’s not meant to be, I abandoned this venture. A couple of days later, after coming home from work, I received, probably, the most valuable gift: my daughter and my wife built me an improvised waste box with 3 compartments, made from cardboard. The daughter even drew some identification marks on them. It was unexpected and nice. The next day the family received instructions. 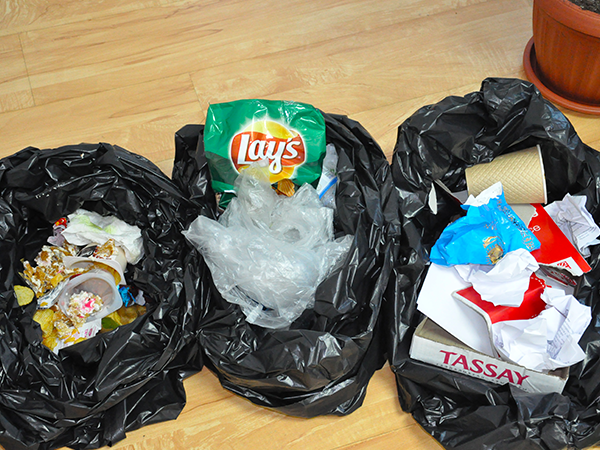 We decided to collect separately organic waste, which can rot, and pack it into paper bags. Considering weather conditions and location specifics, on the surface, this bag will disintegrate within 6-12 months – so I was assured by the search engine. 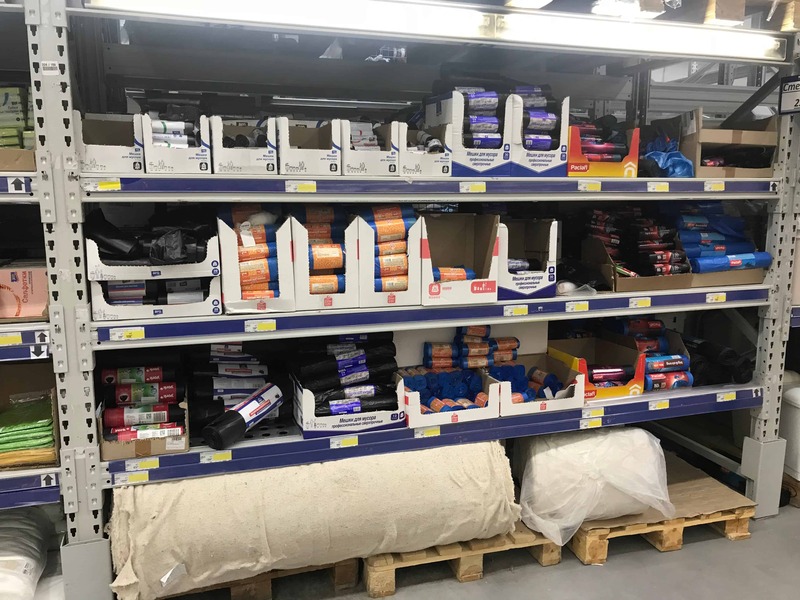 Separately collect everything that in theory can be sorted into plastic, packaging (including foil and metallised) and other types of non-organic waste. The third group of garbage that we identified was glass. 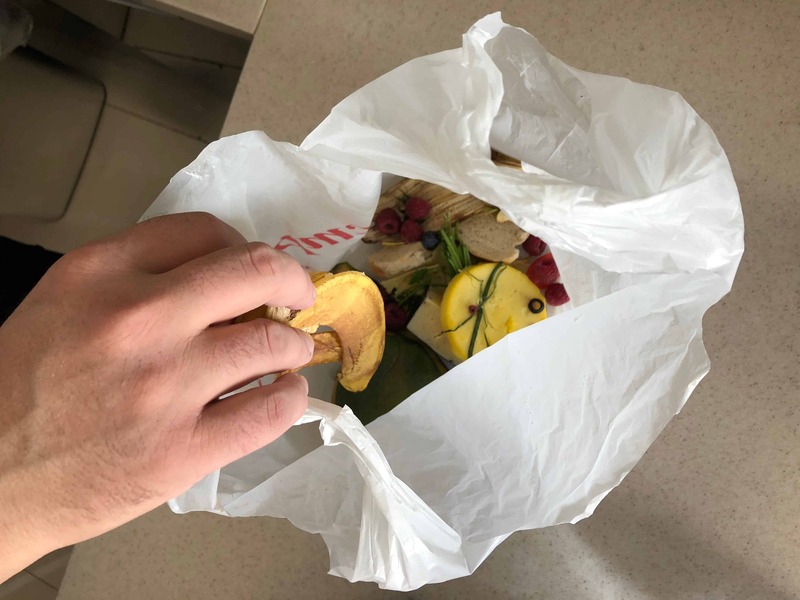 The organics should be thrown into the common containers in the yard, plastics into the yellow mesh boxes near the waste collection point, glass and, if there is a lot of paper, take it to special collection points. At first, there was confusion, what to throw and where, and at some point, all waste ended up in the usual bag. Our daughter also throws rubbish, and, of course, she threw where she wanted. If the first issue was solved along with my wife through careful surfing on the Internet, but the daughter herself decided which box she likes to use best. 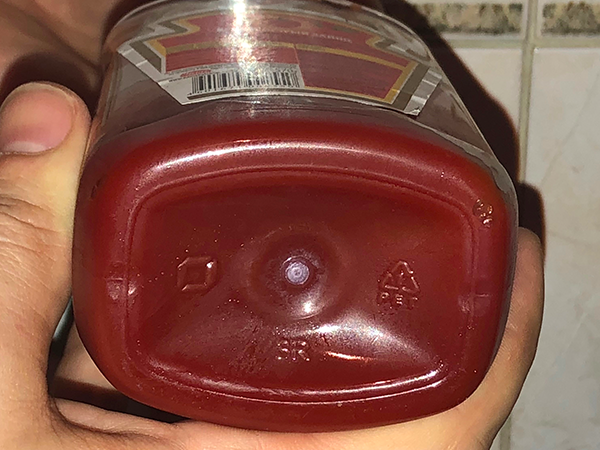 We did not wash the jars and threw them out, as they were, often the bottles were without a lid – and our cardboard was just wet. Here again, the experienced sorters from the NET showed how to handle plastic and packaging in general. Again, the actual question rose how to sort garbage in a small city apartment, where there is no place to put five separate bins. In the morning, taking out the garbage, I did not find the usual mesh box for collecting plastic. This, probably, was the biggest blow. 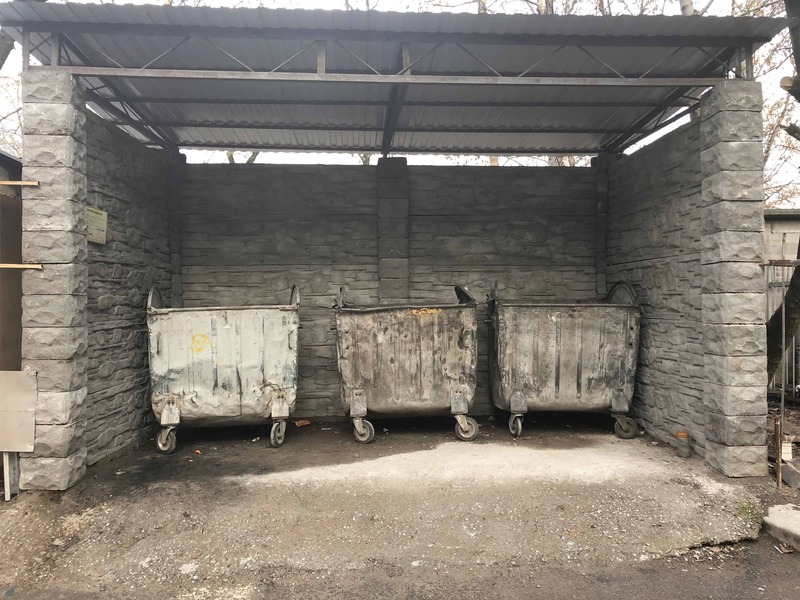 As it turned out, the reason is that the management companies hold annual tenders for the selection of contractors for garbage disposal, and this year the company that provided mesh containers for plastic lost in this tender. And now for a while, a new contractor should be arriving, which one, was unknown. In social networks, we discussed this issue with friends, even tagged the responsible person. We were told that soon everything will appear. However it’s been a month and a half since that moment, but nothing has changed. The disposal of garbage at the reception points was also tricky. Firstly, not all paper can be handed over, including tetra-packets from juices, and this was over 50% of what we brought to the collection point. Glass too – half was unacceptable. 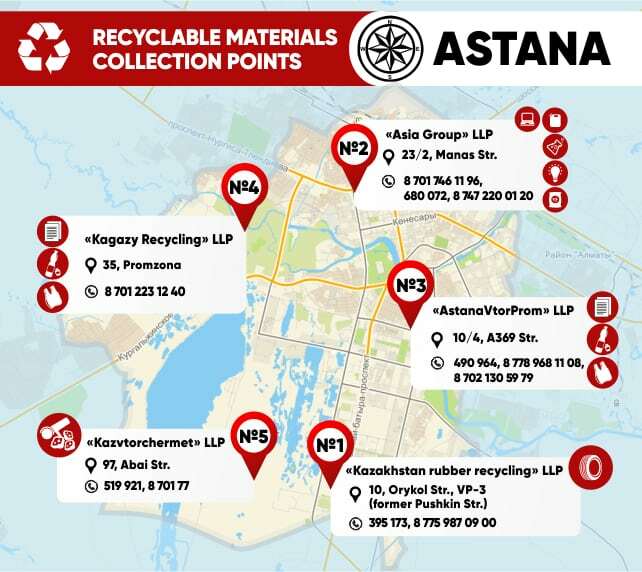 But the most important thing is that all the aspects of the recyclable collection were too far from home, and if you compare the time spent on travel and sorting, then you do not wish to repeat the process. Our strict sorting experience lasted 2-3 weeks, and we decided to stop. Until the infrastructure appears, and the city will be ready for this. A couple of weeks later, we again started throwing everything in one bin, but, like the first time, the family changed everything. 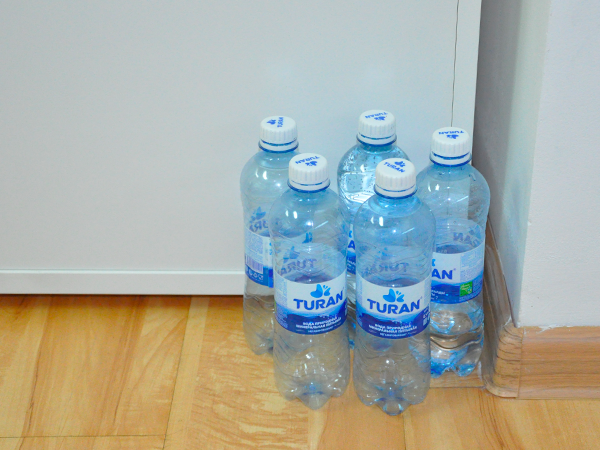 Our daughter put her bottles apart from the general trash and did not allow to throw them out. Then, after 2 weeks of downtime, sorting was reintroduced in our lives. You know, children – they generally make us better, you look at them, and they are your reflection. And you understand that you have to be better, they are an incredible incentive, especially for the fathers. Although, maybe it’s just me. In general, thanks to her, we decided to return to the sorting of garbage to our family, but a few things changed in the approach. Now we have revised the approach and decided to fit into the current conditions, but to be more efficient. 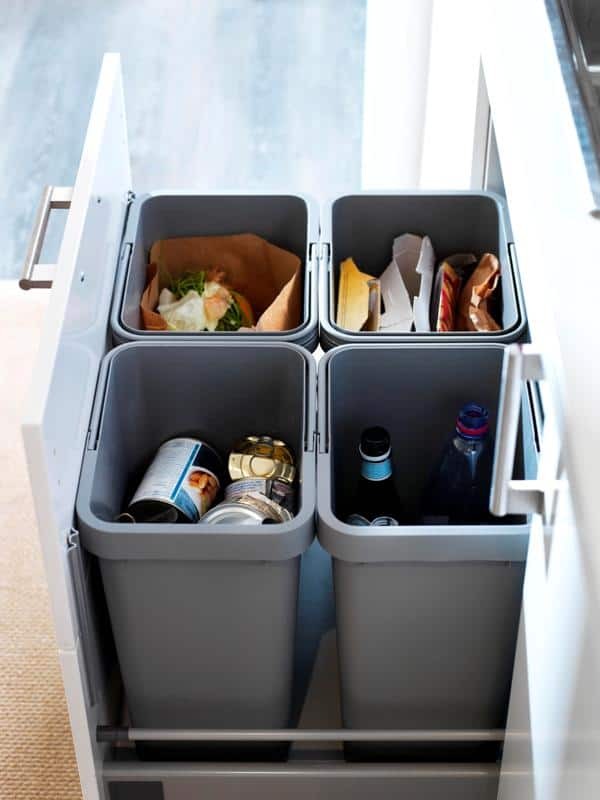 At the moment, I’m looking for the optimal version of containers that would be convenient for use in a city apartment, but at the same time would be functional. Despite the fact that we throw out garbage daily, you need to have large containers. Surprisingly, the search in American online stores, too, did not give out anything. What you like is either very expensive, or there are difficulties with delivery. In the morning I place the sorted garbage out of the container into a bag and throw it away. Yes, until they put a container for plastics back, I throw everything into a regular trash container. Organics are shredded to the max, which will allow it to degrade quickly. It is essential that the inorganic rubbish that I throw away is as clean as possible and does not exude any smell. I believe that if all people act in this way, the garbage, firstly, will not attract a large number of animals to the landfill, and, secondly, if necessary, it will be relatively easy to disassemble. Imagine a mountain of such clean, washed and compacted garbage – it can be easily broke down and sorted. It does not smell, you can not get dirty or cut yourself. I think even such a small detail can be important. Someone will say: a waste of time, but for me, it is a way of life and hope that soon we will be able to recycle garbage, and it will be beneficial. 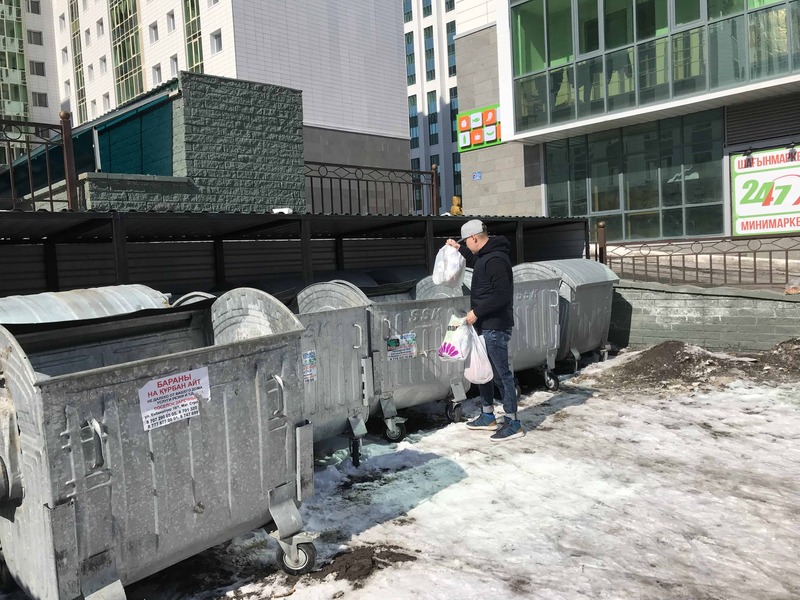 I was taught this experience by Norway, where they distribute free waste bags of different colours, people at home sort the garbage and throw out the packages in a common container. Further in the waste sorting facility, these bags are opened, and, for example, the red bag is only plastic. In my opinion, an excellent solution for the current conditions. Sorting garbage is a matter of your personal culture. You do not have to do this, you have to make this decision yourself. Do not wait for anyone to create all necessary conditions so that you can comfortably do everything. It will not happen. Or it will not be soon either. Do not be afraid of difficulties. 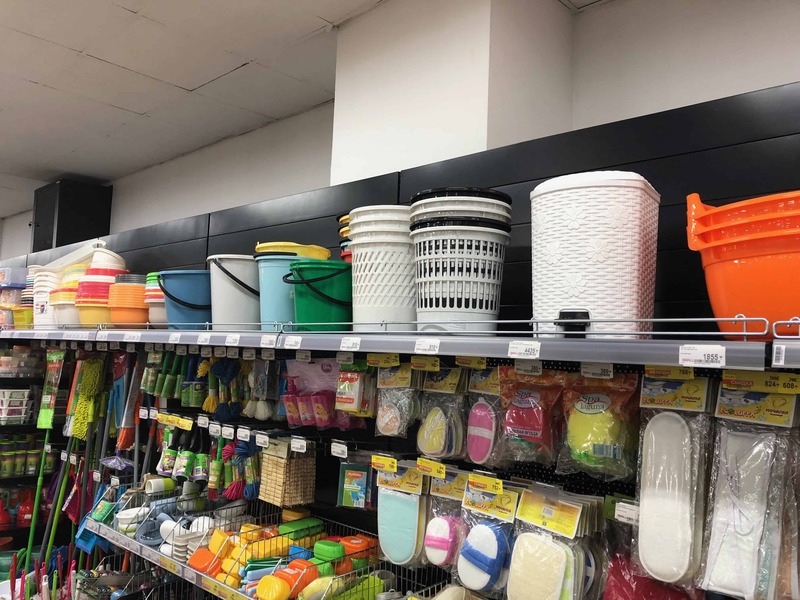 Since there are no clear rules for trash sorting in our country, it is always possible to come up with alternative solutions that are convenient for you. The main thing is not to give up. If you are looking for the approval of others, then I have bad news for you. Get used to the idea that this is necessary, first of all, personally to you. Do not take on too much. Do not complicate the process more than the surrounding reality requires. It is much more important to turn this into a habit than trying to do it better than everyone else. Just because there is no one to compete with. 37 years old. Married, has a 4-year-old daughter. 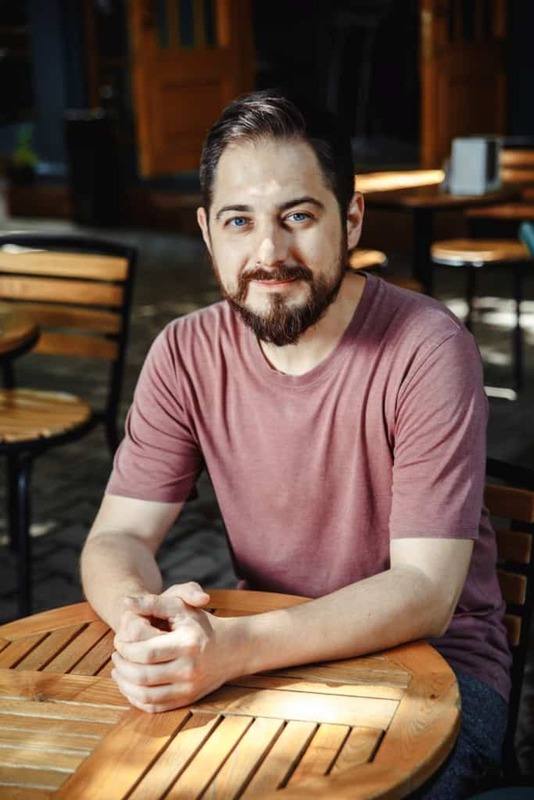 Interior designer, entrepreneur, founder of his own design studio in Almaty. 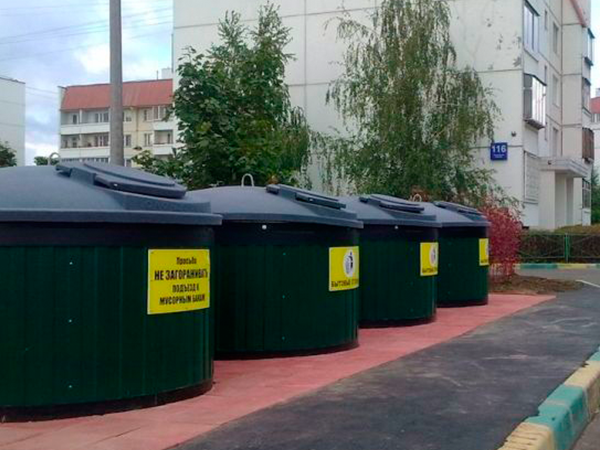 The first time I tried to sort the garbage was when I was living in St. Petersburg for work. Then I lived in a house in the courtyard of which containers for separate garbage collection were installed. Now I do not remember exactly which fractions were there, but the plastic bottles and glass were definitely collected separately. For St. Petersburg this was something self-evident, for me it looked like real know-how. 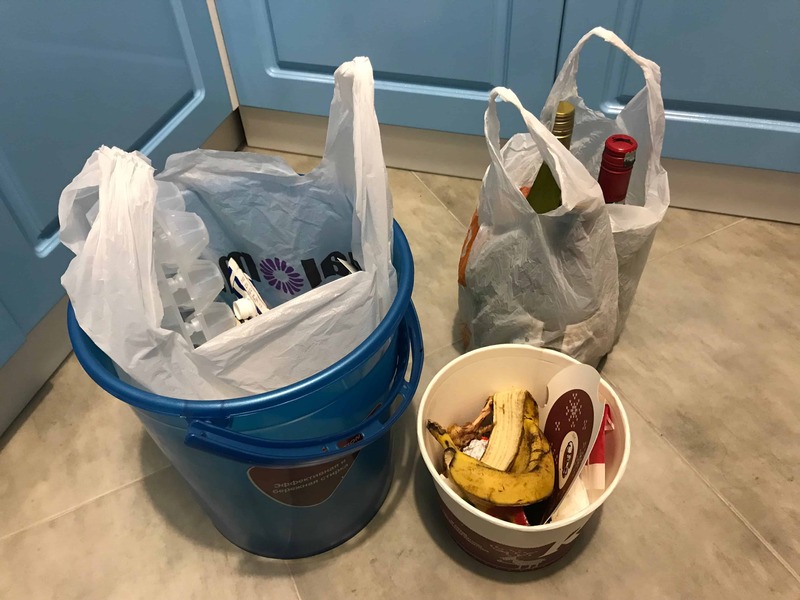 I did not bother to put up with the different bins in the apartment, I simply put the garbage in a normal plastic bag, but then unloaded it into separate containers. After moving to another house, I stopped sorting garbage. Here in the courtyard, there were no special containers, and the habit of sorting had not yet been formed at that time. There was no special significance at that time for me. After the Petersburg experience, there was a desire to launch a project for the processing of plastic. At the facility and the house, we began to collect plastic. 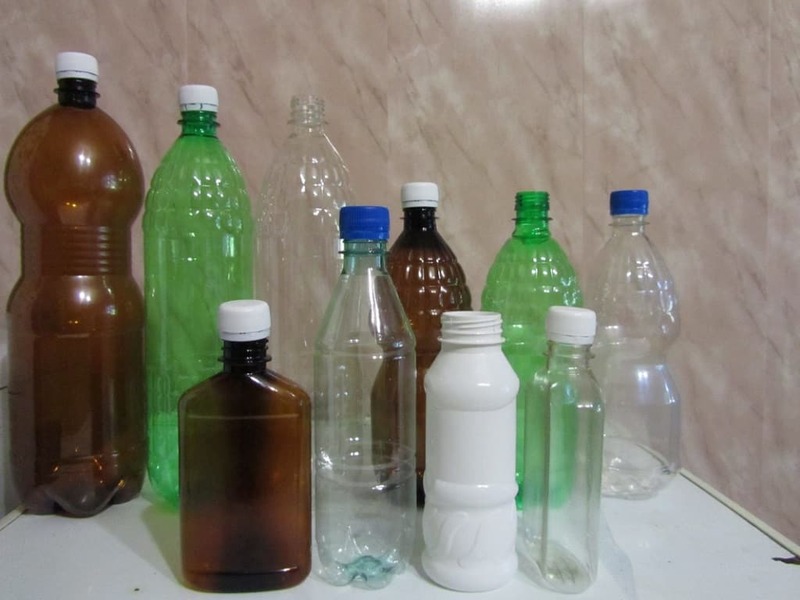 The bottles were washed and dried, as they are not subject to processing in dirty form. While collecting plastic, we studied the issue of processing, weighing, as it was then fashionable to write, all the pros and cons. In pluses, there was care of ecology and recycling. The disadvantages were huge costs, both financial and the amount of effort it took. Lack of infrastructure, disinterestedness of either KSK or akimats in solving the problem. Also, a serious barrier was the misunderstanding of the surrounding people – why all this was necessary. The conclusion was obvious: the project is good, but not here and not now. We wanted to give away plastics to a special collection point, but where to take it, we did not find. The solution was to throw the entire accumulated volume into the nearest garbage container. A year after the collection of plastic, there was a similar idea for tetra pack. We found this approach somewhere in the West. The idea was to cut the tetra pack into thin strips and make woven bags, furniture and all sorts of interesting pieces for the house. And I’m a designer, so I was very interested. At first glance, the idea was fascinating. We decided to try it ourselves, especially at that time there were no analogues in the city. Everything that was in the video was radically different from reality. Collecting the right amount tetra-packets took a very long time, but it was only half of the issue. The main problem was the processing of the material. It was impossible to wash packets manually. Even if there was a little product left (in seams, etc. ), it began to smell unpleasant. The products didn’t reach trial state, because the required volume was not collected, and it was not possible to wash it properly. The decision, like last time, came by itself – to abandon the project. True, tetra-packs again had absolutely no place to hand over. As a result, they were also sent to the nearest garbage container. As far as I know, in Kazakhstan and now tetra-packs are still not recycled, which cannot be said about plastic. 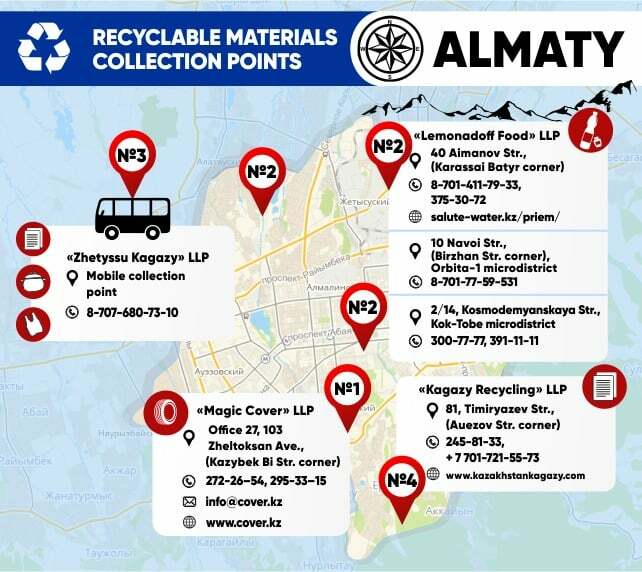 Now there are 3-4 collection points for plastic bottles in Almaty if you believe “Google”. The next 4 years we did not even think about sorting the trash and using it in neither production nor at home. On the one hand, it’s good, on the other – when the state is not interested and does not give a platform for this, then the whole point of doing it disappears. I do not want to do useless things. In general, we were waiting for the right moment. 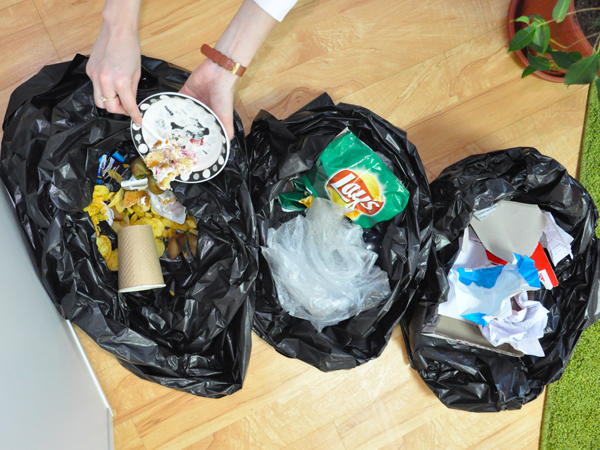 We have given another shot at sorting the garbage at home. Started to separate waste into fractions: paper, glass, plastic and organics. There were all the same long-familiar problems. 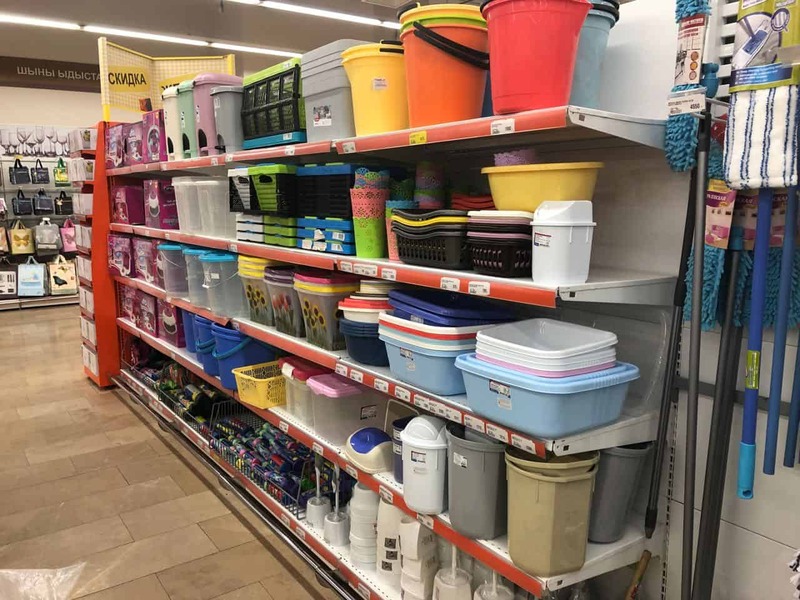 Despite the fact that you can buy bins of different colours in the store, they are not very convenient for sorting and for an apartment – they take up a lot of space. And, of course, the main stumbling block is street containers. Even if there is a separate collection (in some yards I see such containers), then the entire amount of garbage is taken by the same single waste collection vehicle to the same landfill. There are no containers for separate garbage in our house. In this issue, it is essential to understand that where all the trash is transported, otherwise there is no point. A centralised system is not enough. And when everything goes into single vehicle’s bunker, the question is: why do I do this, if nobody cares? Although in fact there is nothing complicated in sorting garbage at home. Even my daughter was easily accustomed. At 4 years, she easily understood separation, after being explained, she understood from the first try. We even played the game: I put the tetra packets in the form of shirts – my daughter was very pleased, so she was even more involved in the process. The waste was placed in separate bags. The bucket was used only for cardboard. For the rest we used bags. All this was accumulated at home – there were a lot of things in the dimensions, and again they realised that it was not convenient to take out, as there was no personal transport, and there is nowhere to put separated waste as the house was full already. Two trips a week and take the waste out was very labour-intensive, and storage turns the apartment into a garbage dump. As a result, we stopped throwing garbage at home and went back to one bag system. Now in the new house, we are discussing how to organise the delivery of garbage for processing at the level of the condominium. For example, once a week to agree that someone will take out the waste, say, from ten apartments. If any of our readers have experience in this matter, please share. We are eager to read it. Even before sorting, it is necessary to develop ecological thinking in itself, and this means that one should start with ecological consumption. That is, to think environmentally from buying to processing. 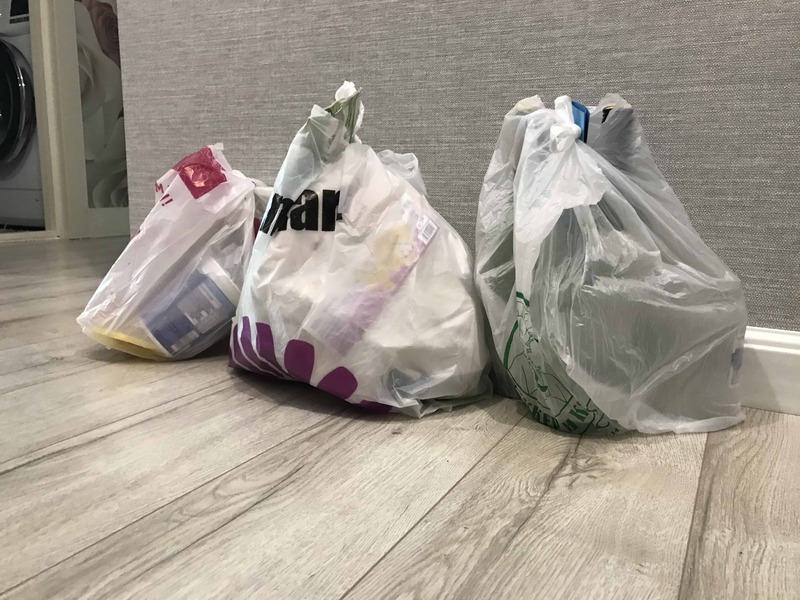 In Europe, in Germany, for example, you need to pay for trash – the more you throw out, the more you pay, so people reduce the amount of garbage – they buy products that are then conveniently sent for recycling, they come with their package to the store, etc. It is necessary to think about how not to accumulate extra garbage, and not how to get rid of it. Introduction of some innovations people initially perceive with hostility. But to accustom the population in our country, fines are needed, and only then the consciousness of people will change. Therefore, it is necessary to adopt the best of solutions for recycling from more advanced countries, to impose fines, and in the future people will certainly think and change their attitude towards the issue. Let’s think globally. We often do not perceive the world in significant cycles, everything is hidden from the eyes – we do not see landfills. If the dump were in the centre of the city and prevented us from living, we would quickly become accustomed to environmental thinking. But we are adults, and it makes sense to look a little farther than our own yard, realising that all global changes begin with one small act. As you can see, sorting garbage at the household level is not such a complicated and costly business. Everyone can do this, realising the importance of keeping our native land clean and safe. Today, please take a moment to reflect on this topic and make a step in favour of environmentally safe and clean Kazakhstan! If you are interested in this article, please share it with your friends and colleagues.